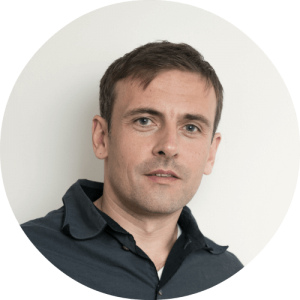 Grzegorz has been in private practice as a psychotherapist since 2003, offering individual, relationship and couples psychotherapy. He works with people of all ages (from mid-teens), sexual orientation, cultural and ethnic backgrounds and religions. He works in both English and Polish, face-to-face and online. From 2003 to 2015 he was working at the Poza Centrum Psychotherapy and Coaching Centre in Warsaw, Poland. In October 2015 he moved to Melbourne and joined the Melbourne Processwork Centre. Grzegorz teaches Process Work across three continents, being a faculty member with ANZPOP, the Institute of Process Psychology in Poland, and the Process Work Institute India. Prior to moving to Australia, he was a teacher of the two-year Certificate in Processwork Psychology in Wroclaw, Poland. He is a Certified Process Oriented Coach and supervises coaches at the Institute of Process Psychology in Warsaw and is the principal trainer for the ANZPOP/MPWC Process Oriented Coaching Program. Grzegorz developed a series of workshops entitled the Psychology of Career and a program Short-Term Therapy for Motivation Issues. He was the co-developer of a specialised program about feedback, delivered in the organisational context (companies including Colliers, Saint-Gobain, and Motul) and as workshops and lectures open to the general public. Grzegorz has a strong interest in social issues. He was the co-founder of the Social Dialogue Centre in the Polish Association of Psychotherapist and Practitioners of Process Psychology, through which he facilitated many public debates, open forums and group processes. He continually grows his skills and experience through participating in training and workshops and through regular supervision.